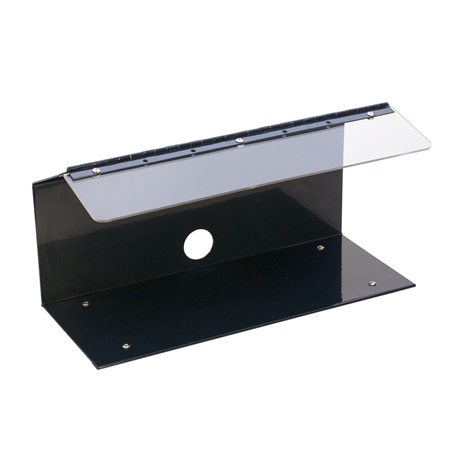 Keep your work area clean and free of flying debris with our new Splash Guard for Benchtop Polisher. Features: Adjustable clear plastic visor. Rubber feet on bottom to prevent slipping. Small footprint allows room to work without taking excess space on your workbench. Dimensions: 14.25 x 5.75 x 7.5 inches. Weight: 4.5 lbs.